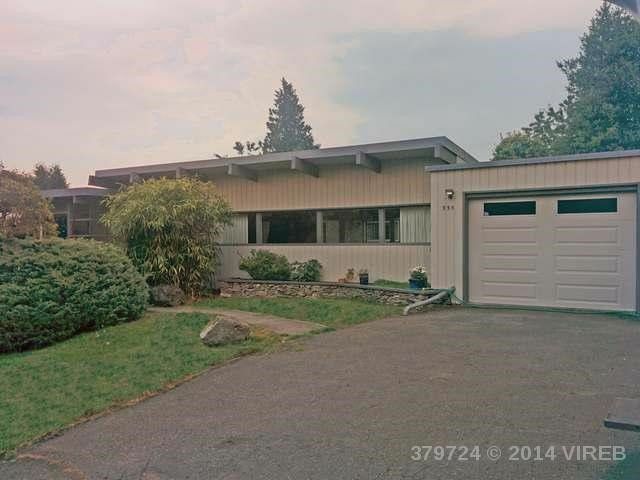 Classic 1950's design by local Nanaimo architect Forrest W. Sunter. This family home is more than a classic mid centry modern rancher, its a piece of living history. This home was designed and built by FW Sunter as his private residence on Vancouver Island and includes many design characteristics that made his designs so iconic for the period. Classic exposed beams, large picture windows and a central atrium, this home is warm and inviting and cleverly thought out. Designed to have a separate living and sleeping quarters, the homes flows around the central courtyard. Locted in popular Beach Drives Estates, the hopme has a peak a book ocean view from teh terraced rear garden, close to local shopping and a short walk to the beach. and trails.